The price listed is for one belt each. 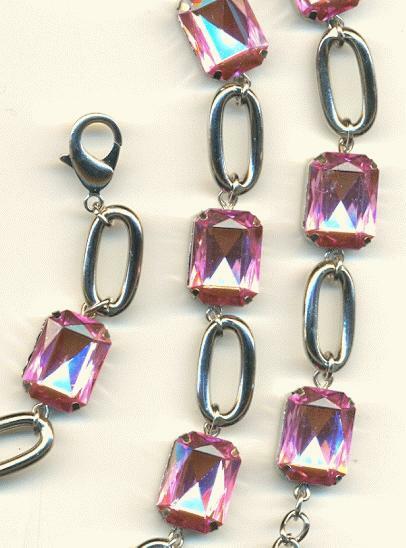 These are approximately 44 1/2'' by 13.5mm silver plated with pink acrylic rhinestones that measure 18mm by 13mm. 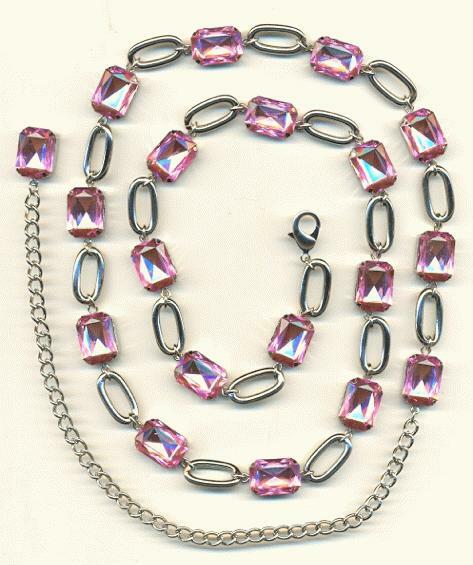 The fashion part of the belt is approximately 33 1/2'' while the extender chain is approximately 10''. A lobster clasp on the end of the belt will connect anywhere within the extender chain to create different lengths.